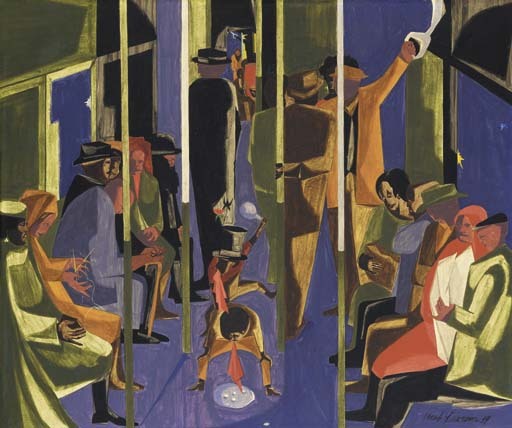 Born in Atlantic City, New Jersey, Lawrence grew up in Harlem during the Depression. Harlem was an active cultural center then, and Lawrence became interested in the arts while still a teenager. 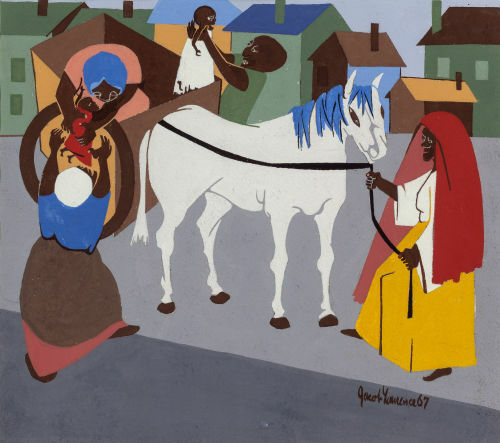 He received early training at art workshops sponsored by the federal government's Works Progress Administration (WPA) in Harlem and then studied at the American Artists School in New York. 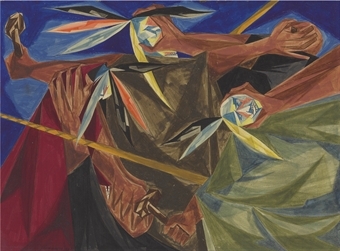 From 1938 to 1939, Lawrence worked in the Federal Arts Project and produced some of his earliest major works. 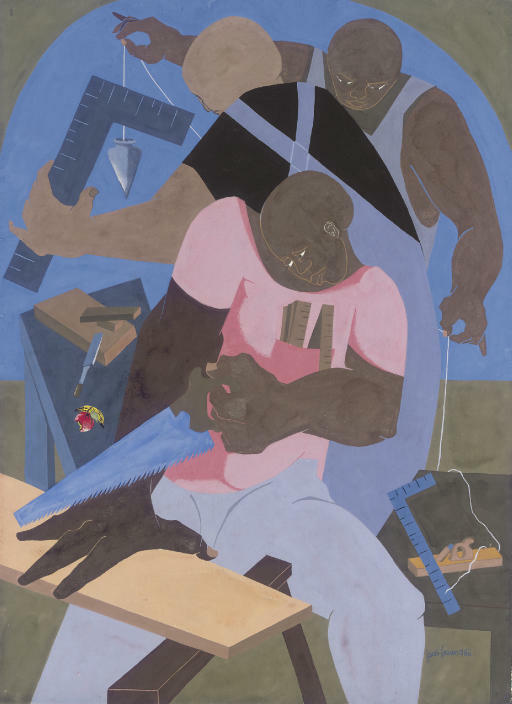 His first important solo exhibition in 1944, at New York's Museum of Modern Art, secured his place as an important commentator on the American scene, particularly African American experiences. Lawrence died on 9 June 2000. 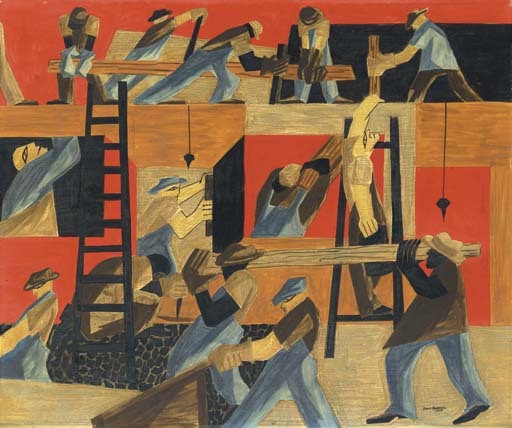 Lawrence's subject matter and painting style remained relatively consistent through his career. His subjects range from street scenes to the lives of important African Americans to powerful narrative series--chronicles of the afflictions endured by African Americans. 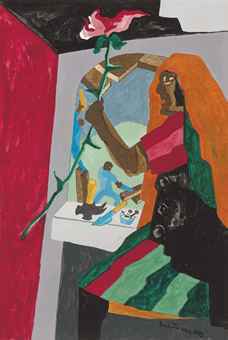 He portrays these diverse subjects in a quasi-representational style that combines vivid, often discordant tempera colors with a flattened, fragmented treatment of form and space. 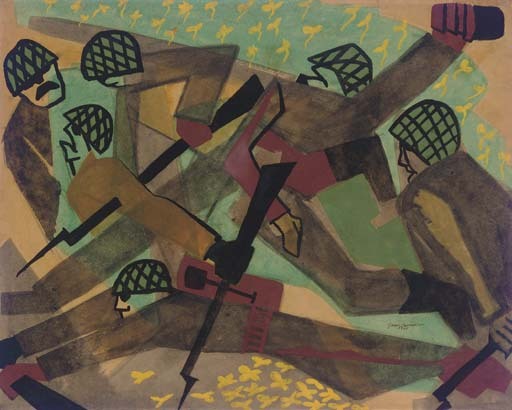 The artist's intent is to convey his feelings about the subjects portrayed. As Lawrence said, "My pictures express my life and experience. I paint the things I know about and the things I have experienced."